Style #074: Gorgeous meteorite ring. This lovely Gibeon meteorite engagement ring is set with a stunning 0.5 carat Radiant cut diamond, and is lined in Platnium. 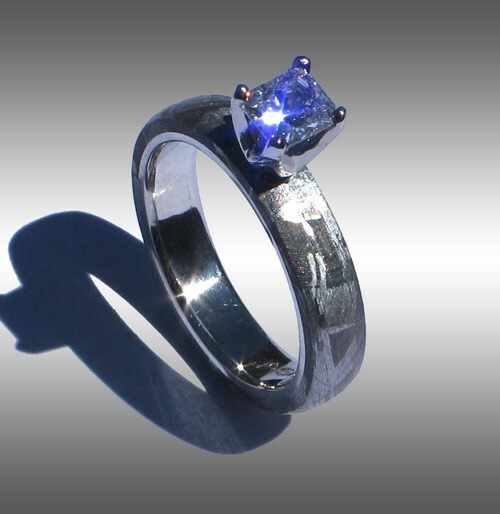 If you are looking for an truly unique engagement ring this may be the ring for you. Shown in a size 5.75 x 4mm width. Please enquire for current pricing!